The present downloadable printable is intended for high school students, elementary school students and adults at Elementary (A1) and Pre-intermediate (A2) level. 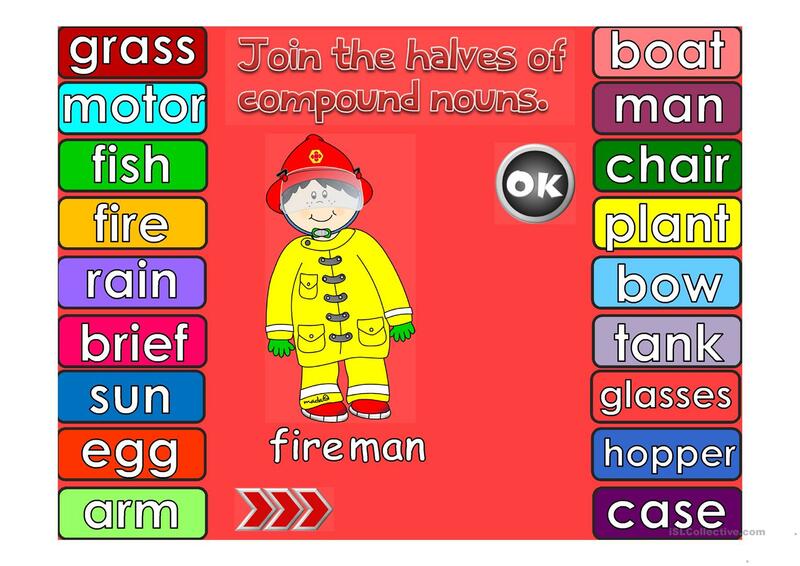 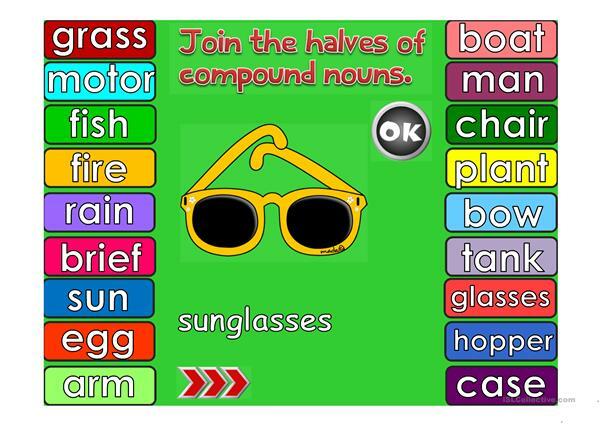 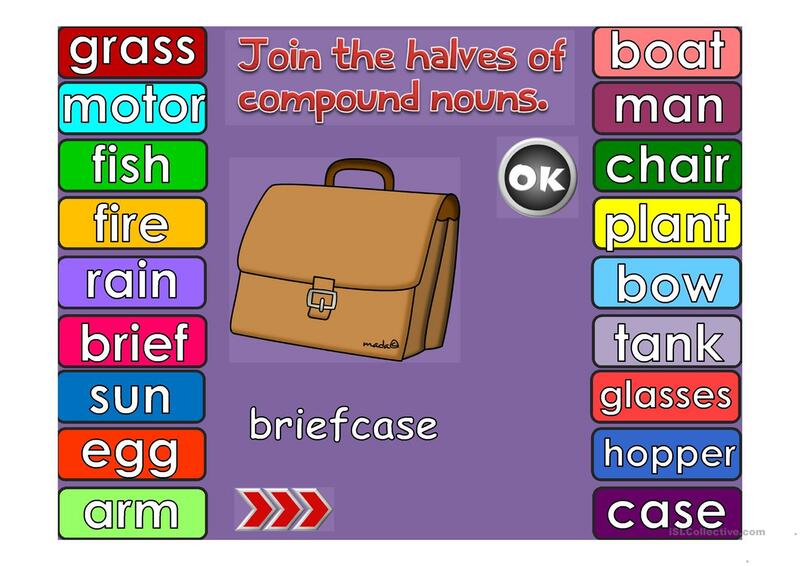 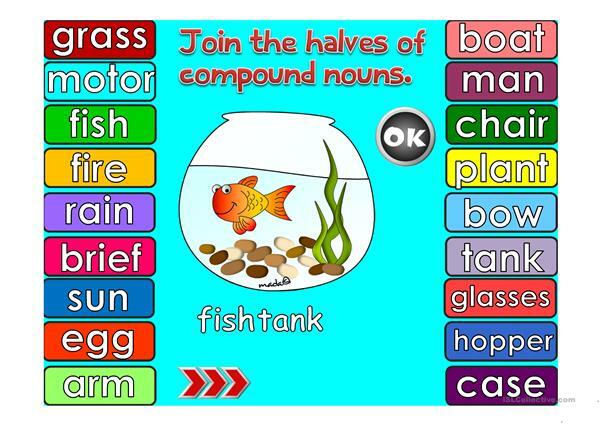 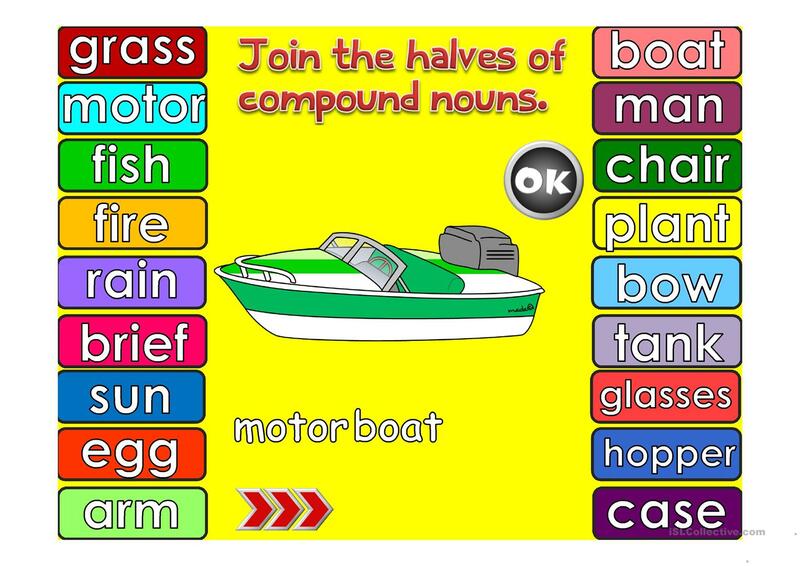 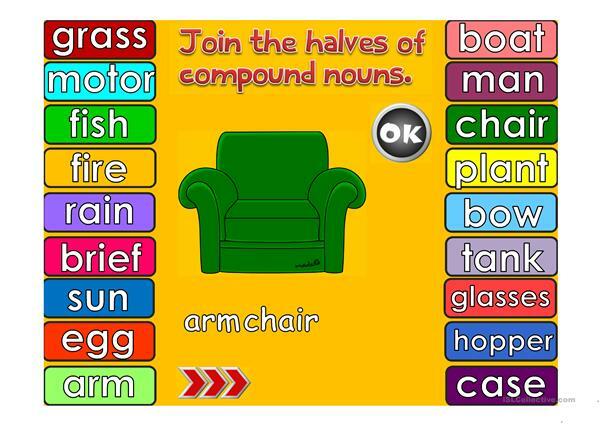 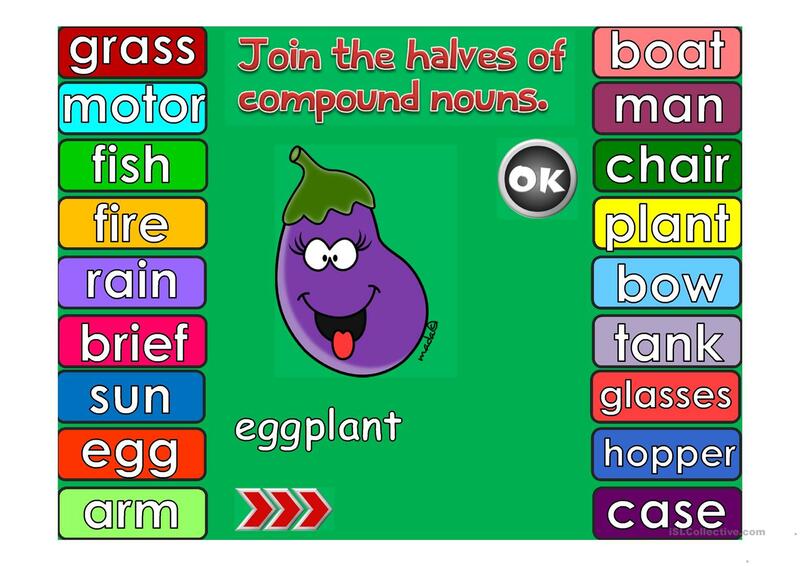 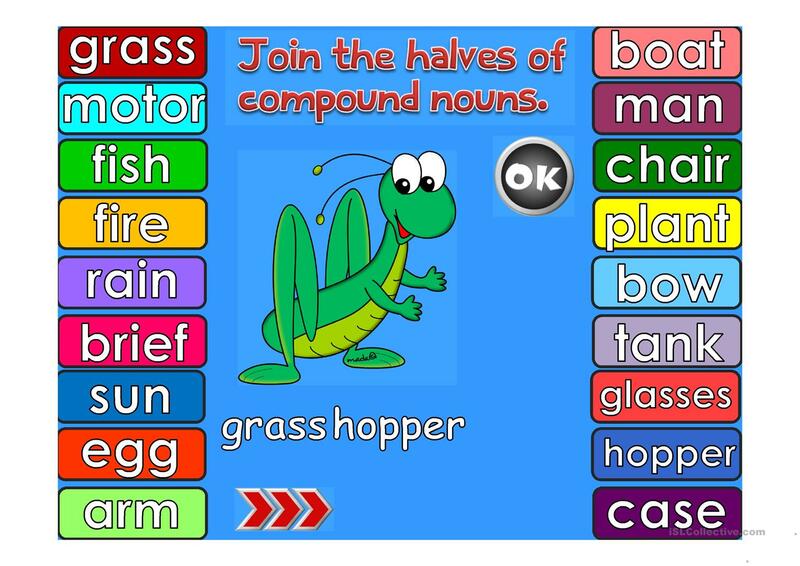 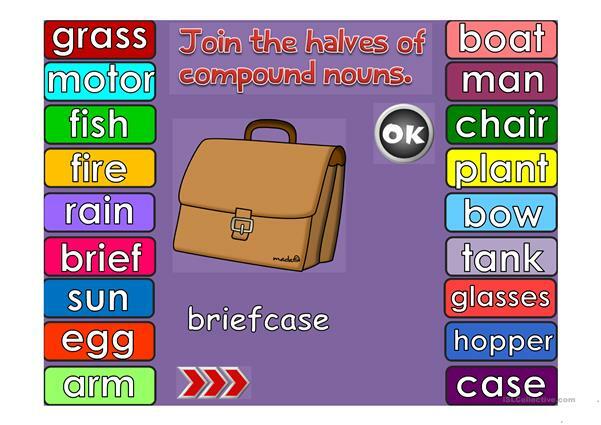 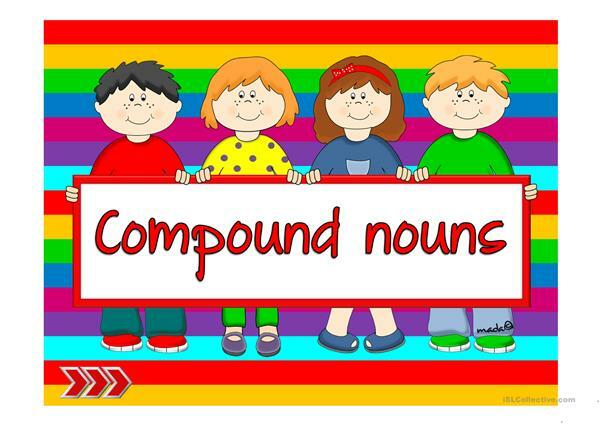 It is great for revising Nouns: Compound nouns (e.g. bus stop, washing machine, haircut) in English, and was designed for developing your students' Spelling and Reading skills. 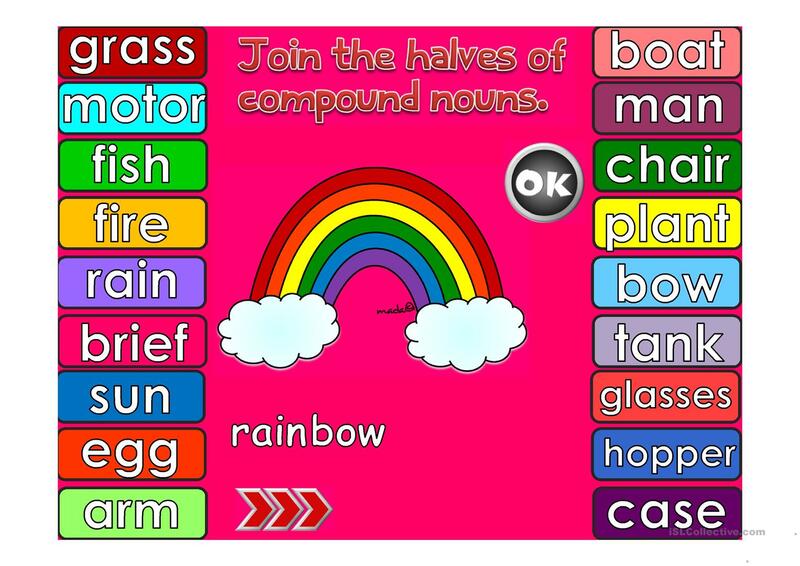 You will find the answer key at the end of the worksheet.